So you made it this far. You've finished this phase of your life and all that came with it--good and bad. Now you're moving on to everything that's left to come. Graduation is an endbut also a beginning. Will it get better, or just tougher? What's next? The Bible is full of promises to help us get the most out of times like these--and out of life. Like Jesus himself said, "I came so they can have real and eternal life, more and better life than they ever dreamed of." Taken from The Message, the promises in this book can give you advice, encouragement, and direction in language that we use today. You'll find more than just a good word. You'll find real life and fuel for whatever's next. Taken from The Message, the Bible promises in this book give graduates advice, encouragement, and direction in language that we use today. 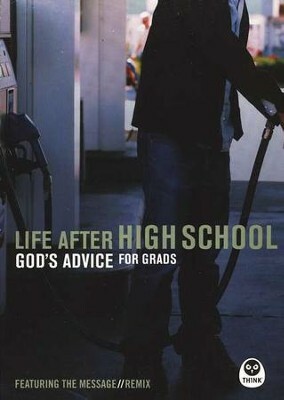 I'm the author/artist and I want to review Life After High School: God's Advice for Grads (featuring the Message Remix).